Respiratory illness is one of the leading causes of neonatal death worldwide. In the developed world, respiratory support is provided to newborns using bubble Continuous Positive Airway Pressure (bCPAP). bCPAP machines can be prohibitively expensive and technically complex for low-resource settings. In the developing world, oxygen therapy is often the only treatment for babies suffering from respiratory distress syndrome (RDS). Without the added pressure from bCPAP, babies struggle to breathe and often die as a result. The Pumani, which translates to ‘breathe easy’ in Chichewa, the language of Malawi, delivers a blended flow of oxygen and ambient air to infants in respiratory distress at the same therapeutic pressure as bCPAP systems in the United States for 1/15th the cost. The Pumani bCPAP has tripled the survival rate of babies with RDS. 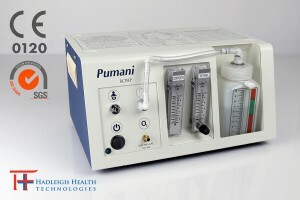 Hadleigh Health Technologies LLC, a 3rd Stone Design company, completed the industrial design, mechanical engineering, design for and transfer to manufacture for the Pumani bCPAP product. Regulatory development and clearance was completed in the spring of 2015 in order to affix the CE Mark and achieve ISO 13485 status for the company to offer medical devices in foreign markets. Clinical work and evaluation was completed in collaboration with clinical partners at Baylor College of Medicine, Texas Children’s Hospital, Rice University and Queen Elizabeth Central Hospital (QECH) in Blantyre, Malawi. Based on the results from clinical testing, the Pumani project received additional funding to distribute bCPAP units to every public central and district hospital in Malawi. Currently, more than 300 Pumani units have been disseminated to 50 hospitals in 15 countries. 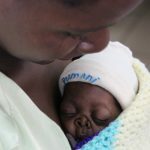 The Pumani is now available for purchase worldwide and is being sold and distributed in developing countries where there is an appropriate need for low-cost respiratory support for neonates and infants. The Pumani bCPAP can be purchased by individual clinicians, hospitals, Ministries of Health, and Non-Governmental Organizations engaged in providing neonatal and pediatric care. Please submit a request to Hadleigh Health Technologies for additional pricing and ordering information or email us at info@hadleighhealthtechnologies.com.